The Aloha beginner group lesson is our most popular lesson. 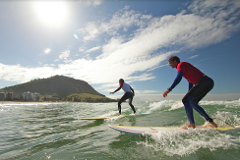 Within 2 hours, our skilled instructors will have you have you catching waves and having oceans of fun. 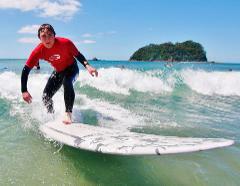 We look forward to surfing with you!